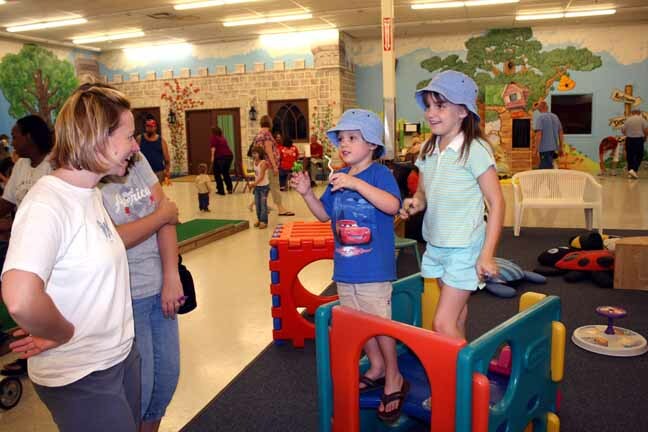 The Felix Adler Children's Discovery Center had its start in 1993, originally as a tribute to Felix Adler, a City of Clinton native born in 1895. Felix Adler was known as the King of Clowns performing for over 50 years in the Ringling Brothers Barnum & Bailey Circus and performing as the Whitehouse Clown for three U.S. Presidents. 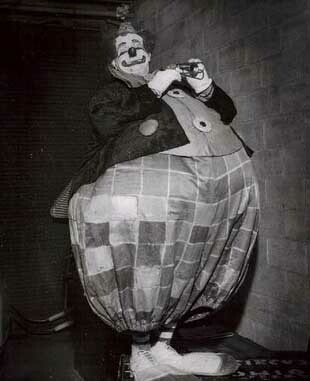 He is honored in the Clown Hall of Fame. 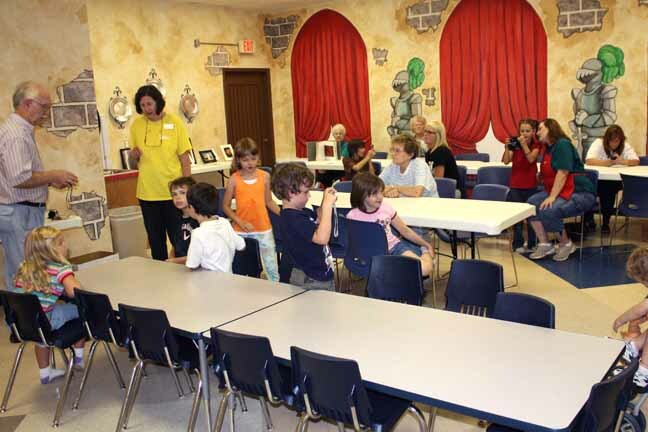 The center was a continued way to honor Felix Adler's desire to entertain and teach children of all ages. The Center began as an annual event by its founder, Theo Smith, Felix Adler's niece. Countless volunteers provided the manpower to open a hands-on museum in a small, unused building donated by a citizen in the City of Clinton. The Center grew from an annual event to a full time operation, and in its first full year received 13,000 visitors from neighboring counties and several different states. Nationally we have seen the development of museums become more creative through "inter-active" displays. We have seen an increase in the desire of our youth to become involved in activities that stimulate their imagination. 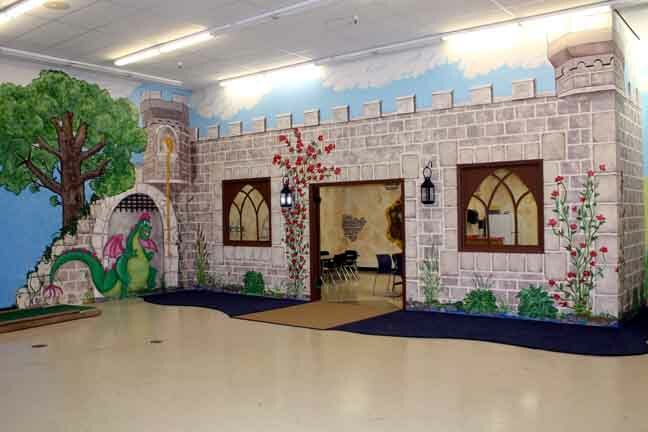 With children's museums being the fastest growing within the museum categories, the Center found it was uniquely positioned to entertain, teach, and engage families in learning activities - a place where children play to learn and adults learn to play again. Based on volunteer and community efforts, a continued growth has occurred in the Center, expanding from the donated building to a 7,500 square foot building. In 2009 we expanded once again to a 17,000 square foot building that redefined an area in downtown Clinton as the "Kids Campus," because of the Center, the YWCA and the Clinton Public Library encircle one block in the heart of downtown Clinton. Our attendance has increased to 23,810 visitors in 2008 to 2009! We have also paid-in-full for our building through attendance, grants, and fundraising efforts by our tireless founders, the current Director, and many volunteers. 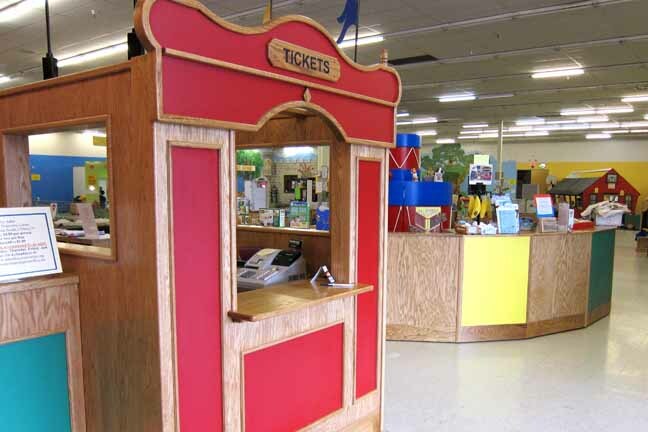 In 2004, the Center was awarded Jump to Japan, an exhibit from the Association of Children Museums and has hosted other traveling exhibits. Additionally, our growth includes literacy and mentoring programs in collaboration with major retailers, the public/private school systems, preschools, daycares, after-school programming, the library, and the community. 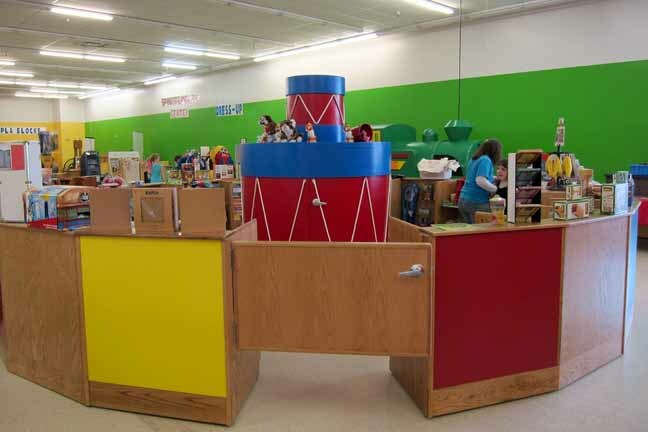 We have also added permanent exhibits such as KAPLA Blocks, a Brio Train, a miniature golf course built by the alternative high school students, NASA, a hospital and ambulance in collaboration with Mercy Medical Centers and Clinton Fire Department, and are currently expanding our inter-active grocery store exhibit. The Center serves 6 counties in Iowa and Illinois, as well as tourists from several states. It is accessible by foot from many neighborhoods, the YWCA, local daycares and preschools, as well as nearby elementary and middle schools. Growth over the past year indicates that the Center is becoming an entity that provides programming that challenges and entertains those who venture to the museum. It is a signature attraction for Clinton and the surrounding area. The programming at the Center serves a large audience and encompasses a myriad of educational opportunities. The Clinton Area Chamber of Commerce supports and promotes the Center and feels it is an essential resource in their quest for tourism growth in Clinton, Iowa. The Center has kept pace with our growing community in terms of space, programming, and accessibility. Due to the fact that more than 58% of Clinton students qualify for free and reduced price lunches, and at some schools (Jefferson and Bluff elementary) fully 80-90% qualify for free and reduced lunches, the Center strives to provide access to the museum in a cost-effective manner. Admissions are $4 per person for ages 2 to 64 (under 2 are free), $3 for seniors 65 and over, children with disabilities are admitted free, and our policy is never to turn anyone away for an inability to pay. ESL students in Clinton participate in after school reading programs; thus the Center is able to serve diverse populations in the community. The broad based support from educational and support organizations with whom we partner indicates the added benefits their children receive from using the center. King of Clowns, White House Clown and Greatest Clown on Earth were among the titles associated with the Ringling Brothers, Barnum & Bailey Circus clown, Felix Adler. Frank Bartlet Adler was born June 17, 1895 in Clinton, Iowa; son of Joseph and Nettie Adler; married March 6, 1948 to Amelia Irvin; died in New York City on February 1, 1960; buried in Springdale Cemetery, Clinton, Iowa. As a boy, Frank sang in the St. John's Episcopal Choir and attended Jefferson School. Although a good student, school wasn't his priority. He also put his artistic talent to good use in creating his clown make-up and designing costumes that his aunt sewed for him. Although stories abound that Frank Adler ran away to join the circus as a small boy, his sister discredited them, saying that he was always putting on his own shows at his home and he hung around the circus from dawn until dark whenever it came to town. He told a Clinton Women's club audience in 1933 that his mother used to warn him that someone in the circus would steal him. In December of 1910 he dropped out of school, and a Clinton Pharmacist for whom he worked sent him to a Chicago Pharmacist College, but the call of show business was too much to resist. 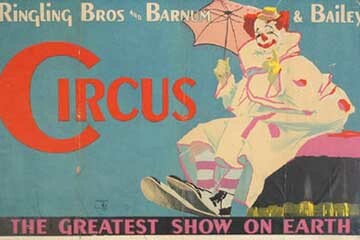 He later advanced to vaudeville, billed as "The Gloom Dispeller" before joining up with the Ringling Brothers who originally hailed from McGregor, Iowa. He served as a mess sergeant at Camp Dodge in World War I. During this time period, he and his pet rooster, Jim, often entertained the troops, but he looked forward to returning to the circus. 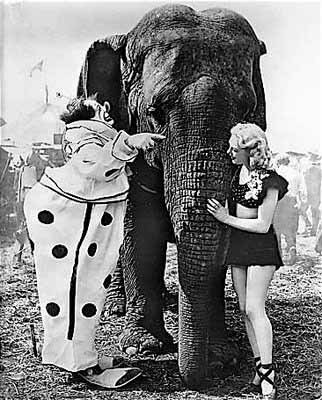 During his early years with the circus, Felix stayed close to the clowns every minute to study their mannerisms, acts and costumes. He was a perfectionist in comedy and researched what made people laugh. He wrote in an article in Liberty Magazine in 1936 "There is nothing else so funny as somebody else in pain." With the Ringling Brothers Circus, Felix waddled the rings in a droopy clown suit followed by a piglet, which he trained to climb a small ladder and slide down a greased slide to receive a nip of milk from a baby bottle as a reward. These pigs made their debut only after intensive training from Felix, and later his wife Amelia. Once the pigs grew too large for entertainment purposes, they were given to families along the road, who often kept in touch with the Adler's. After his marriage in 1948, Adler's pigs were all named "Amelia". The pigs responded to audible clicks. Because they grew so quickly, more than 360 pigs were trained during Adler's circus career. With the help of the piglets, Adler's circus act became a great success. Even Adler's facial trademark, the birthstone nose, was modeled after a pig's snout. Felix also used other animals in his act. A famous dog, Trixie, was taught to hold onto various parts of Felix's padded costume and hang on. Once when both Trixie and Adler were hoisted up to the top of the tent by a pulley connected to the back of Adler's coat, the machine failed to lower them safely for about 10 minutes. Trixie was trained never to let go as long as Felix kept kicking. Had Felix stopped kicking during that time the dog would have dropped and been killed. 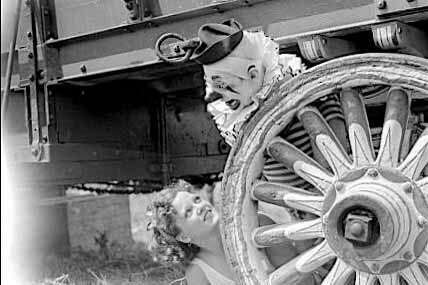 His joy of performing lay in the deep-rooted affection he had for other clowns, and he trained many of the clowns for the Ringling Brothers Circus. 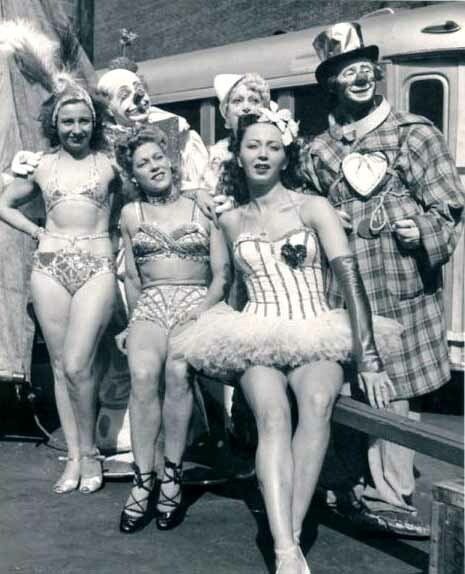 Even as Ringling Brothers' head clown costume designer and trainer, Felix returned to his hometown many times to perform, donating the proceeds of each program to Lend A Hand and the boys department of the YMCA. "Funny Felix" died after emergency surgery on February 1, 1960 and is buried in Springdale Cemetery. Felix was inducted into the Clown Hall of Fame in Delavan, Wisconsin on April 23, 1989. As one of the first clowns inducted, Felix was joined by Mark Anthony, Red Skelton, Lou Jacobs, Emmett Kelly, Sr., and Otto Griebling. The legacy of Felix Adler, King of Clowns, continues each June as the town of Clinton, Iowa celebrates "Felix Adler Days". This children's museum, known as the "Felix Adler Children's Discovery Center," resides in downtown Clinton.